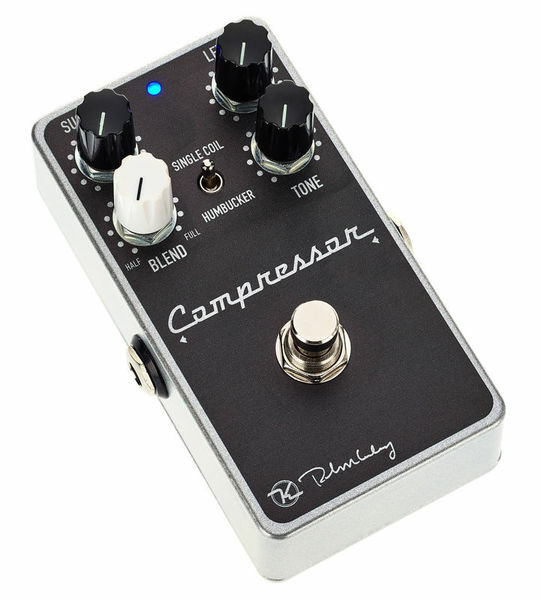 The Keeley Compressor Plus is a compressor with an expander/sustainer. Not only does it act as a regular compressor, limiting the peaks in your playing, it adds more and more gain as notes fade out. Now you have sustain. Nothing worse that a note or a bend that has died before it’s time; the Keeley Compressor Plus adds just the right amount of sustain and expressive bloom to your notes. The new Release Switch on the Keeley Compressor Plus is designed to make it very easy to transition between single coil and humbucker guitars. Humbuckers have more average energy than single coils and this can cause compressors to stay in “compression mode” for a lot longer. This can make any series of notes you play sound dull. With the quick release of the new Compressor Plus, your humbuckers stay true sounding and each note retains attack and definition. 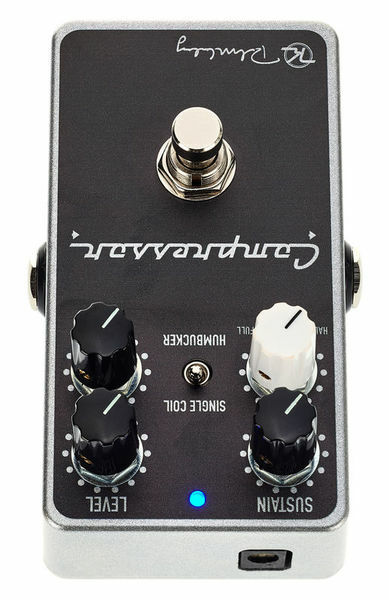 The Tone Control is our own design taken from analog delays and other vintage effects. Those effects used an emphasis circuit to recover treble and highs after they went through the BBD or other analog delay lines. We took that circuit and made it into a full fledged tone control! We found that it was the perfect way to gently add back in highs lost in the compression process. The Blend Control is a way of getting the peaks to come through and having sustain at the same time. So if you want sustain more than peak-limiting, this style of Manhattan Compression is for you! Keep all the peaks and transients with the Blend and Tone Controls while adding sustain on the back end. Heaven! This compressor isn’t just for heavy funk or chicken picking anymore. 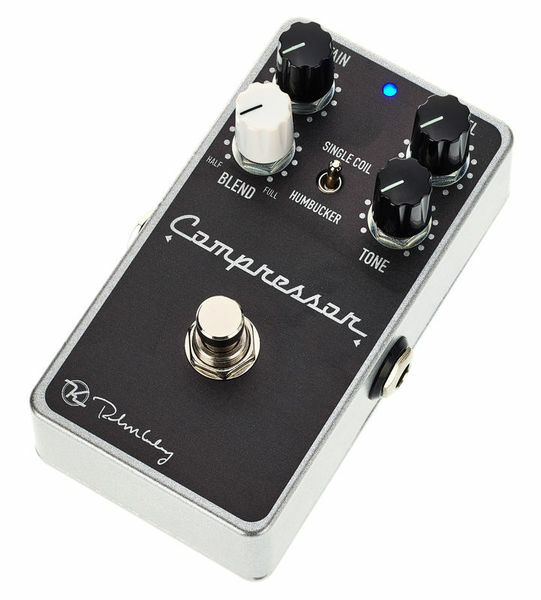 The new Compressor Plus is for players wanting a smooth, subtle wash from their guitar. Remove just the right amount of peaks for an ambient layer and then blend in the right amount of treble for a nice shimmer to your guitar. Use with your favorite fuzz to create a wall of tone like you’ve only heard on records. Looping has never been easier than with this compressor. Consider it an essential tool when creating loops that sound well balanced. Forget it all and use the Compressor Plus for the best amp boost you’ve heard. Nothing pushes an amp better than the Keeley Compressor Plus. The new Keeley Compressor Plus is the result of us specializing in compressors for over 15 years. Chief Engineer and founder Robert Keeley said, “Compression was the first effect I found that was hard to make sound good off the shelf, so I set out to create the best sounding compression effect possible.” We have it down to a science but still treat it like art. Since it is at the core of what we do, we can offer it for an incredible price now. The Keeley Compressor Plus is completely made in the United States. Come by our shop and watch the magic happen. We didn’t just start making compressors to look good alongside co-branded coffee mugs and shirts and hats. We’ve worked with and listened to the pros that have had the the original compressor on their board for 10 to 15 years and found out what it would take to keep it on their board for another 10, 20, or 30 years…. 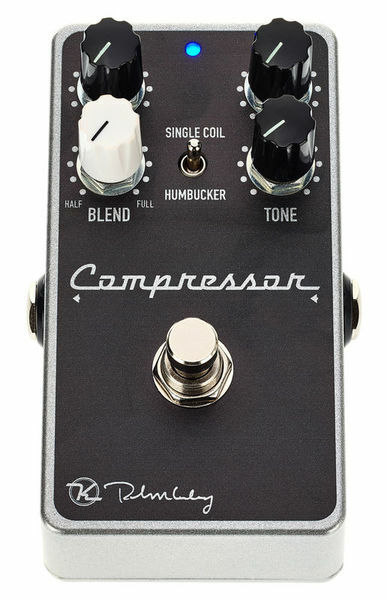 Add the Compressor Plus to your rig, you and your guitar will be singing for days.